Why not? A wedding, a retirement, a new baby…these are one-of-a-kind special occasions. There’s nothing I like better than finding that perfect special something for someone I love. What I’ve found is that grown-ups love gifts every bit as much as youngsters do, so here are a few of my faves for the big people celebrating a new baby. Still one of my all-time favorite baby shower gifts. It’s practical and it’s adorable. If you use newborn size diapers, you can get tons of them in, but I find Size Ones are perfect, since that’s just about the time new parents are running out of the gifts they received at their shower. Such sweet little froggies. All three sizes are shown and rush delivery is available if you’re putting together a last-minute shower. So cute! Can you say “full of LOLz”? 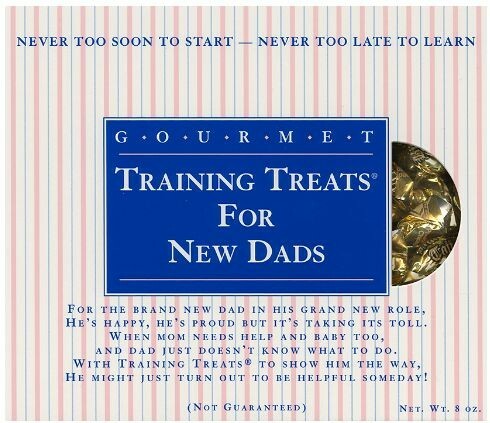 It’s rare that a dad-to-be loves the typical “daddy” gift, but he’ll eat these right up. Three yummy treats come in each package. Use sparingly — make him work for it, Mom! What makes us laugh most are the goggles (perfect for those changings…particularly if a little boy is on the way), but every piece of this gift is special. The button makes the perfect memento for Dad. It also comes with more practical additions, such as the diaper and a mini container of baby powder. This little flower will bloom forever. I love keepsakes, and this will fit into a scrapbook. 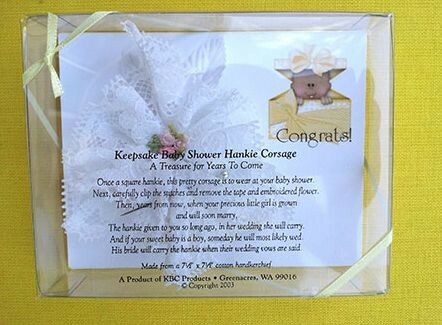 This corsage includes a sweet poem. Mom-to-be can wear it during the shower, then keep it forever. My favorite type of flower! You can find more corsage choices here. 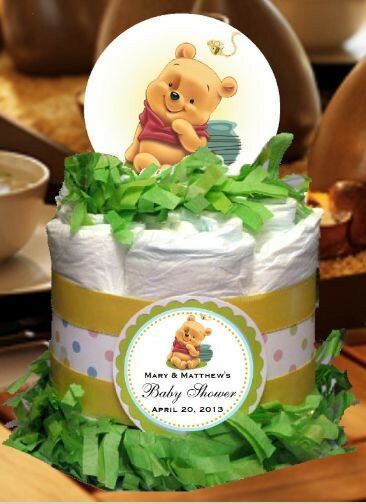 Choose your baby shower gifts with the parents’ personalities in mind. Are Mom and Dad funny? Traditional? Do they have a favorite color? Do they have a color or pattern theme picked out for the nursery? Ask around and find these details out before picking out gifts for the parents-to-be. We promise they’re going to love you for it.